Joe Paterno, the legendary former football coach of Penn State University, has died aged 85, reports say. Joe Paterno led Penn State University to more wins than any other top division college football coach in US history. The legendary football coach was sacked in November 2011 after 46 years in the post, amid accusations that he failed to act over child abuse claims against an assistant coach. Joe Paterno was suffering from lung cancer. He fell and broke his pelvis at his home in December. His family said on Sunday that “he died as he lived”. “He fought hard until the end, stayed positive, thought only of others and constantly reminded everyone of how blessed his life had been,” they said in a statement. Joe Paterno was a hero to many for winning more games than anyone else in major college football – 409 victories at Penn State. But his reputation became tarnished when, in November, his former assistant coach, Jerry Sandusky, 63, was arrested for allegedly abusing eight boys between 1994 and 2009. Joe Paterno was forced to resign after it emerged he had been told that jerry Sandusky had been seen abusing a boy as young as 10 in a locker room shower in 2002, but failed to alert the police. Joe Paterno said he had alerted the university’s athletic director about the allegation, but regretted not taking it further. Police have said that Joe Paterno fulfilled his minimum legal requirement but have suggested the coach had a moral responsibility to do more. 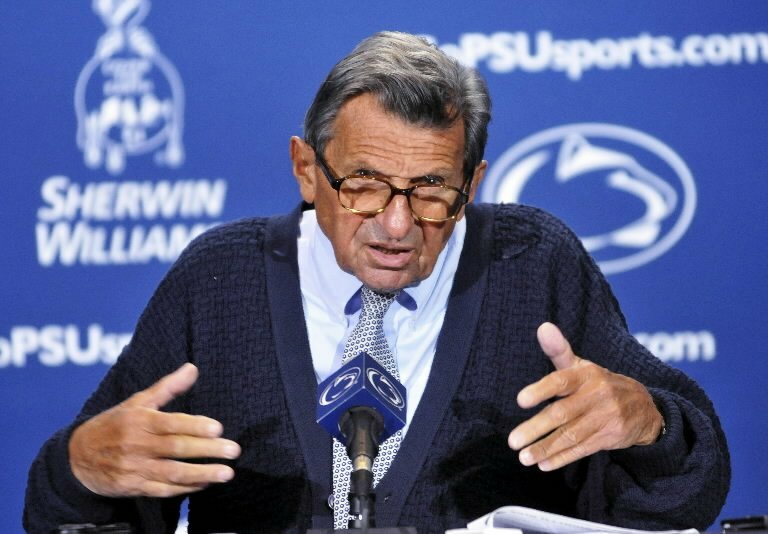 “This is a tragedy,” Joe Paterno coach told the Washington Post. “It is one of the great sorrows of my life. With the benefit of hindsight, I wish I had done more”.